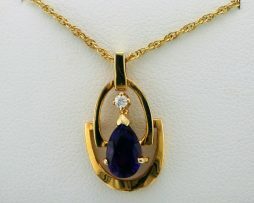 Pear shaped amethyst and diamond pendant necklace. 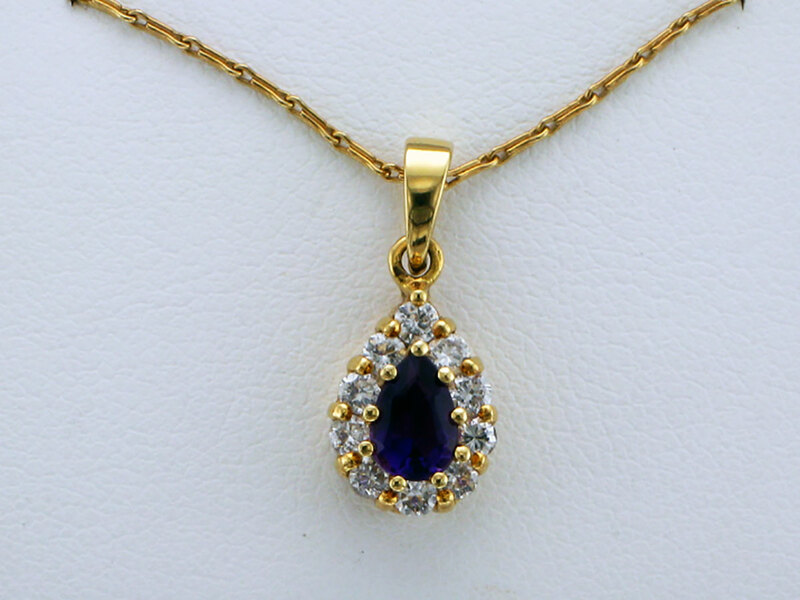 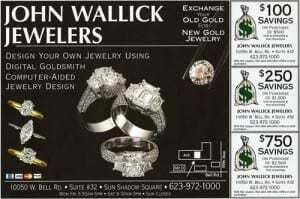 John Wallick Jewelers: White Gold Opal and Diamond Pendant Necklace. 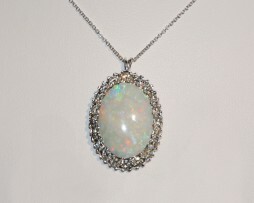 Lady’s 14kt white gold opal and diamond pendant. 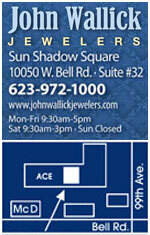 Opal weighs 8.00 carats and is an absolutely beautiful Australian crystal opal with many, many plays of colors. 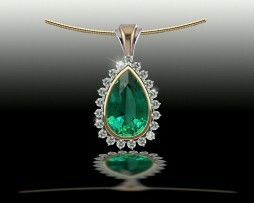 Diamonds are H color and SI-1 clarity and total 0.40 carats. 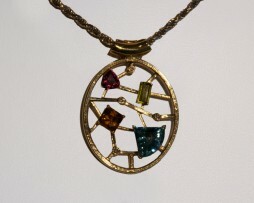 Pendant weighs 4.4 grams. Price is $4,880.00.